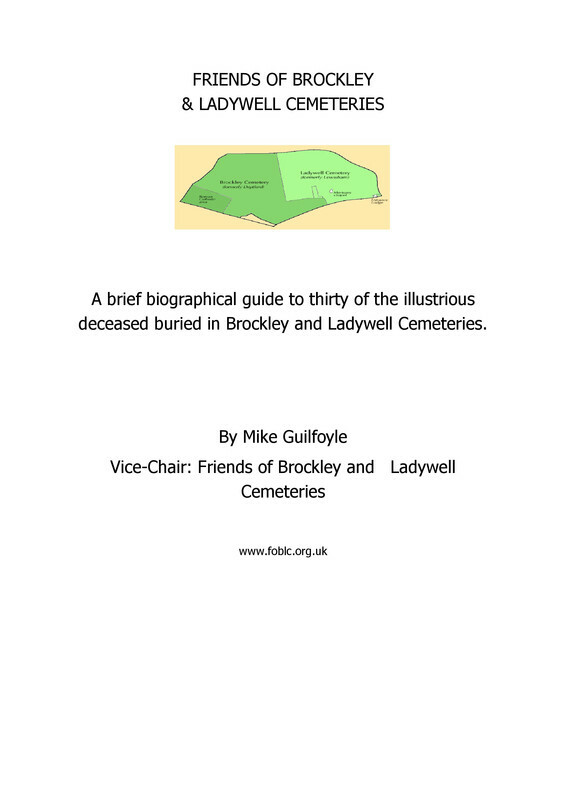 We thank Kelvin Adams for bringing to our attention another war hero who is buried in the Brockley and Ladyell Cemeteries. He has kindly provided the following account. 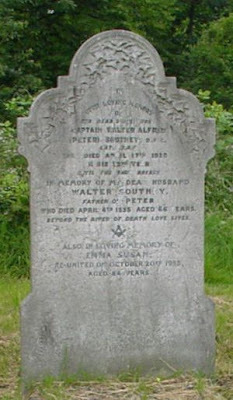 Captain Walter Alfred Southey, legendary RFC and RAF fighter ace, was sometimes known as Peter Southey. He was awarded the D.F.C. plus bar. Originally 19th Royal Fusiliers. Regimental number, 6741. He enlisted in February 1916, joining the RFC on 5th August 1916. 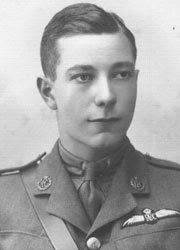 He flew Bristol Fighters with 48 Squadron and was wounded on 4th June 1917 and out of action till March 1918. He scored 20 victories with 84 squadron, between May and October 1918, flying the S.E.5a. His father was clearly stated to be a warehouseman in the lace trade, though this may be open to doubt - perhaps he was a manager. 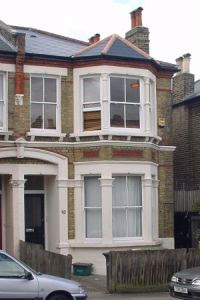 Walter is stated to have been born in Bermondsey, the family later living in Brockley and New Cross, with addresses in Arabin and Drakefell Roads. His early death from skull fracture was due to a motorcycle accident. I am indebted to his relative, Roger Goulder, for this information. Southey had been discharged from service, and his inscription reports that he was "late RAF". However The Air Ministry handled a claim from Drakefell Road in November 1920. His parent's names were Walter and Emma and they are buried with him. Walter Southey was one of the great pilots, taking on the enemy at a time when they had their finest planes and pilots and odds balanced heavily on their side. It is understood that Walter may have been a pupil at Christ's Hospital - the Bluecoat school - perhaps further suggesting that his father was more than a warehouseman. "A gallant and skilful officer"
"An officer of ready resource whose skilful leadership is of the greatest value to his squadron"
To find his memorial - start at the Ladywell entrance, pass the chapel (going under the arch), turn abrupt left and abrupt right. 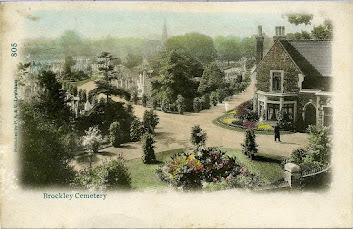 The Southey plot is 103J. It is in an edge section, facing south towards the well populated sections U,X and Y. I was suprised to find members of a supposed working family buried in such a prime position. The plot is just after the reddish-brown obelisk and the Cameron/Laxton plot.